DON'T FORGET TO VOTE IN THE APRIL 2 MUNICIPAL ELECTION! 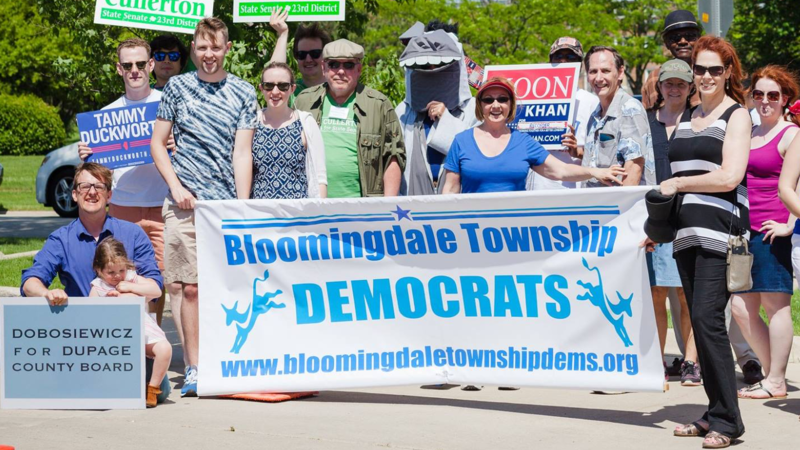 ​The Bloomingdale Township Democrats is an organization under the DuPage County Democratic Organization focused on advancing progressive candidates for office and supporting dialogue to improve our community. Located in the northern region of the County, Bloomingdale Township is comprised of ten municipalities and four unincorporated towns. With over 110,000 residences, our goal is to promote a positive future for our local community, county, state, and nation. Join us at our monthly meeting to hear from local candidates and learn how you have help turn our neighborhoods blue! Each week we strive to provide a dose of satire to get you through your week. WASHINGTON (The Borowitz Report)—Former President Barack Obama ignited a firestorm of controversy on Wednesday by demanding to see President Donald Trump’s elementary-school diploma.